First things first! I am 100kg! Yes, weight plays a role too, as there are wheels out on the market that have rider weight limitations. Heavy weight people, like me, need to read this small print first regardless of what they are buying. 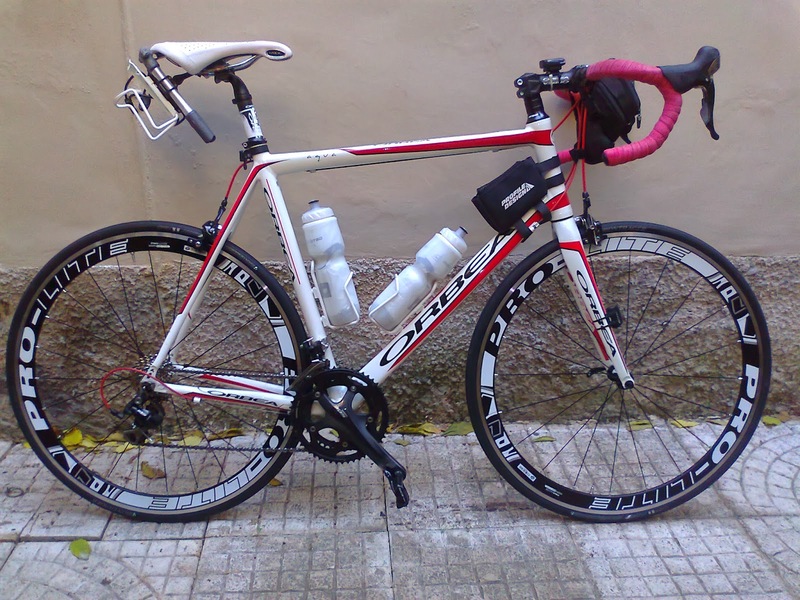 Even if the wheels cost 2,000 euros, being a heavy rider means that you won't keep them for a long if they can support say, a weight up to 85kg. Getting a good road bike wheelset means that it will have to sacrifice a good cash from our tight pocket, so we need products that consider big riders too, not just being expensive or super fast. 1) I am 100kg (220lbs or 15.7 stones), I needed something strong and durable, so I left carbon construction on the side (yes, carbon is light but it's extremely delicate!). For the same reason, I wanted a clincher tyre system instead of a tubular one. It's been several times I've heard tubular tires exploding and it was scary! 2) I wanted a pair of wheels, which I would use both for races AND training, without switching them around with a second pair of wheels. I find it ridiculous to know that I have to use maybe only 10 times a year (as the number of races) a new pair of wheels. I want to enjoy my new wheels all the time! 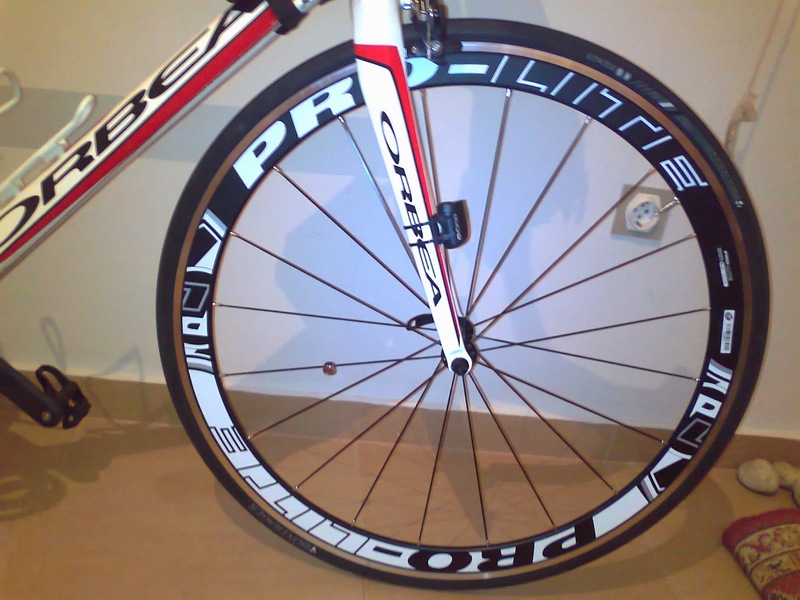 3) I wanted my new pair of wheels to have some aero-performance too. I was going to use the new wheels mainly for riding fast on flat terrain with some light uphills too (80% flat-20% uphills). 4) I opted to spend around 500-600 euros on new wheels (plus a new cassette), which comes up to about 50% of my bike's new shop-price. Ok, so I've set for you my requirements and based on these you can get a better picture of the descritions behind this review. I 've broken down the review in various distinct sections based on the terrain and conditions. 1) Flat course: I start with this firstly, as I was mainly aiming (hoping!) to improve my speed on flat terrain. The wheels felt faster right away from the first moment. I grasped a noticeable improvement on the speed, which becomes pretty obvious when I was locked at about 35kph(~22mph) or more - this is where I felt clearly that I could put less amount of effort and keep the tachometer value at bigger numbers. These alloy wheels 'cut' the air pretty well, I could ride the same speed with less effort now. It was a real pleasure to keep my legs spinning at 40kph or more, I felt as if I had someone pushing me from behind! I gained about maybe 3-4 kph (~2mph) or more on these wheels. Pro-Lite has done pretty well with these wheels on the aero concept, despite the alloy construction.Currently, to the best of my knowledge, this is perhaps the only alloy road performance wheelset on the market with such deep rims. 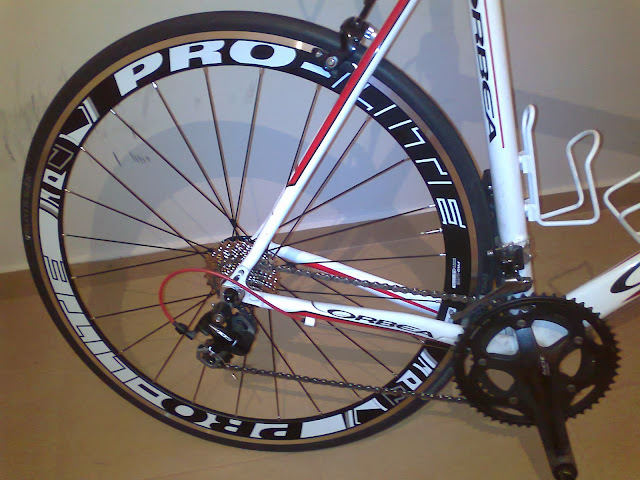 Other option, would lead you to carbon type wheels, which, as I've mentioned above, are less durable and much more expensive, maybe twice as much for a similar deep rim carbon wheel. So, this Bracciano seems to be an excellent al around speed competitor. 2) Uphills: I didn't notice any speed difference on the uphills. I didn't climb faster, but neither slower - I just kept feeling the same. However, these are aero and not climb wheels, so I was not expecting to be the wheels' strong point. I am not a good climber anyway (and pretty heavy), so I am sure that someone else might handle them better on the uphills! They were stiffer though when out of the saddle (see below). 3) Stiffness/riding out of the saddle: I judge the performance of the wheels particularly when I see how they behave when I push hard on the pedals and out of the saddle. This is where the real strength of a component (and the bike as a whole) gets the real test drive. In this case, I was more than satisfied with these Braccianos: There were absolutely quiet, no weird 'noises', frictions or sounds came out of the wheels in any case when pushing the pedal as hard as possible. This showed that the wheels were and felt stiff and solid, despite my 100kg weight. In this regard, the 20/24 (front/rear wheel) spoke number combination must have added some credits to this stiffness. 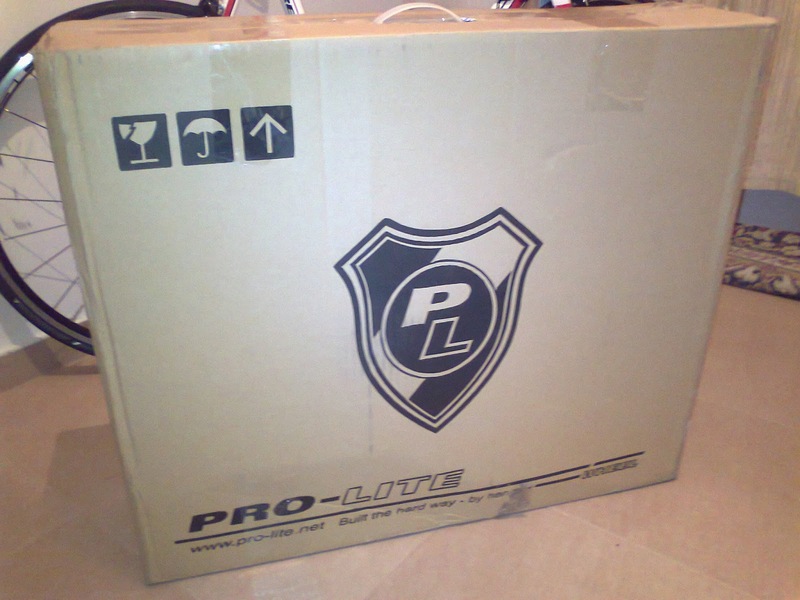 I've contacted Pro-Lite in Taiwan prior to the purchase asking about the 'strength' matter and indeed I was assured that they've tested this pair of wheels with riders up to about 120kg (260pounds). So, no objection about stiffness and durability. 4) Gust/cross winds and general handling: This is the first time I rode with such deep rim wheels. Larger surface means that the wheels are more exposed to side pressure when strong crosswind gusts hits the rim. I noticed this effect on these wheels, but nothing serious or scary. I was still in control during a gust and I realised soon that it was a matter of getting used to this effect. The wheels seem to behave nicely on cross winds and I wasn't slowed down. 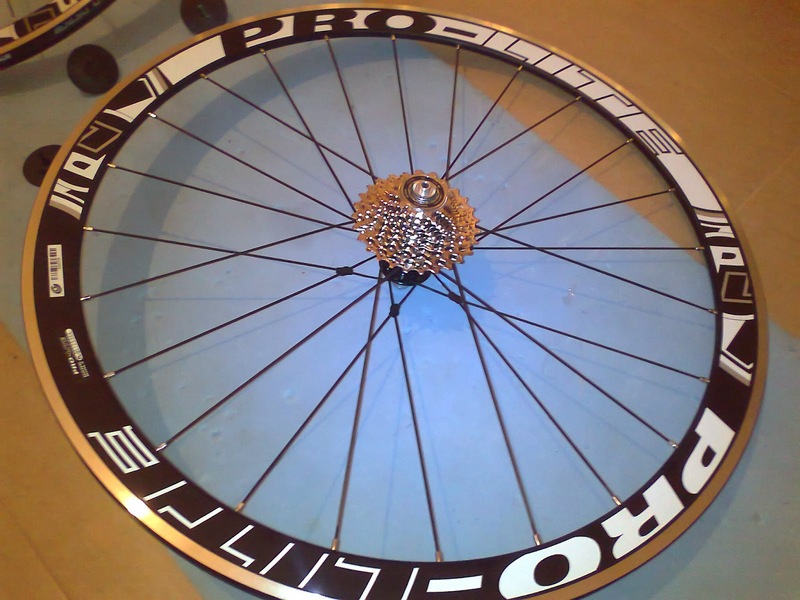 5) Rolling resistance/hubs: Simply amazing. I was a bit sceptical when I read on the official Pro-Lite website about the quality construction of these wheelset hubs, thinking that it's another marketing promotion. It wasn't! It was actually a fact: The wheels spin so effortlessly on their hubs, I felt immediately the difference from my previous wheels. Despite being a heavy rider, these wheels rotated very easily on their axis. It is like as if you 'slide on the ice' when you're out there on the road! This saves my energy when riding, especially long distances. 6) Other (cassette installation, box contents, air-tube adapter depth, quality, etc): This pair of wheels comes out in 2 hub versions: (i) Shimano/SRAM and (ii) Campagnolo. In both cases, an included Pro-Lite hub adapter is provided to allow either 10 or 11 speed cassettes to be installed on the rear wheel's hub. If you install a 10 gear cassette (like I did, a 10-gear Shimano 105 12-27 cassette), you will have to use the Pro-Lite's spacer provided within the box, otherwise you won't need this spacer. However, I've noticed that in any case, you won't need the spacer (metallic circular ring) provided with the Shimano cassette - both spacers (that of Pro-Lite and Shimano) are apparently meant to serve the same purpose (Pro-Lite by email), so you won't need to install both. 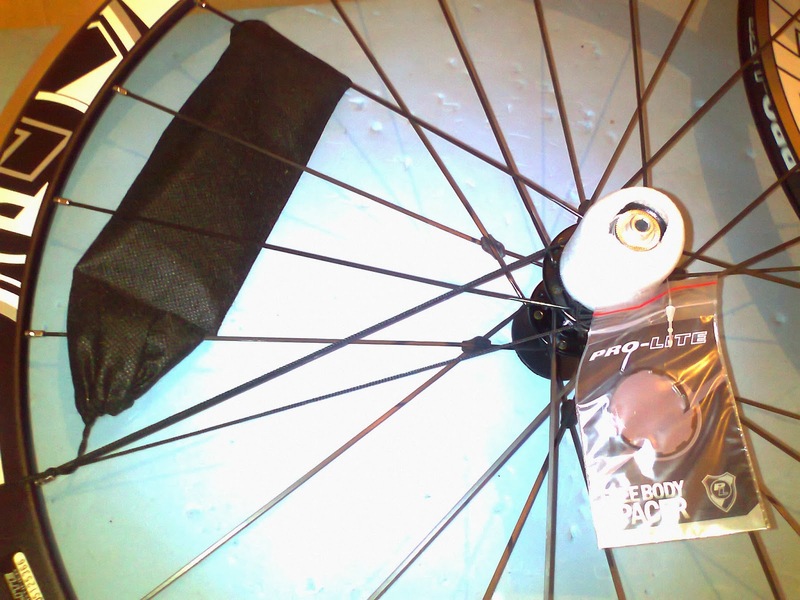 The wheelset comes with a black pair of Quick Release skewers, too. They lock well, although finding the sweet locking-spot needs a couple of fine trial and error adjustments. The contents within the original box were carefully packed. There was a seperator cartoon wall between the wheels and there were some temporary plastic cup adapters fitted on the axis of each wheel to add some more protection during the transport. I've ordered these wheels from UK for delivery to Greece, and I had no problem with the received condition of the contents. The axis of each spoke is specially flat shaped: I believe that this must be giving some extra speed during the rotation too. Pro-Lite claims that their spokes are also 30% stronger than any other spoke construction on the market, thanks to specially engineered composite - very important, especially if you're a heavy rider. I fitted tubes with 60mm long air adaptor on these 42mm deep rims. It might be possible to fit a 48mm tube adaptor instead too, but it might marginally give access to your air-pump, though I haven't tried it with this shorter length. So better, go for a deep rim air-tube and don't be selfish! Overall, Pro-Lite has done a great engineering job on this wheels. You can still go for carbon construction wheels, but you will probably pay twice as much. These Braccianos are the ideal upgrade for the 'alloy' type rider who wants to become aero without spending a fortune. The 42mm deep rim is a nice compromise between aero-shape and handlebar control in gusty conditions. The perfect all rounder! A last note about becoming an aero.. rider: I was having a quick chat the other day with some experienced podium finish tri-athletes here in Athens, Greece, about the importance of making your bike more aero in order to cut down in your finish time. They stated clearly that getting aero does help you improve your race time, but only if you are particularly a well-trained triathlete. This is of course obvious: You won't make, say, a 5,000 euro bike go fast if you are not trained properly! The conclusion was that, yes, the average/serious cyclist/triathlete can benefit by spending some money to become aero, but becoming super-aero (and super-expensive!) does not make really a sense, especially in short course triathlon races like Sprint or Olympic distances, where training comes into play first after the aero performance (which might save you about 20 seconds or less anyway, even for a super-aero setup..More on Half-Ironmans and Ironmans, but still only podium finishers have benefit with a super-aero style). Obviously, racing with the wrong bike will slow you down significantly, same as having a wrong posture/technique during riding, but spending $$$$ to become aero it won't give you a gold medal necessarily! In this regard, I believe, that this Bracciano Pro-Lite pair of wheels provides an excellent solution for the serious athlete, who wants to become clearly more aero, within an affordable budget and have a pair of wheels that will last for longer in the years to come than other makes out there, before deciding to upgrade into a carbon pair wheels. Where can I buy de spares like hubs, radios etc? Hi, I've purchased this pair of wheels from Wiggle UK - have you tried to contact them directly to advice you for the spare parts you mention? 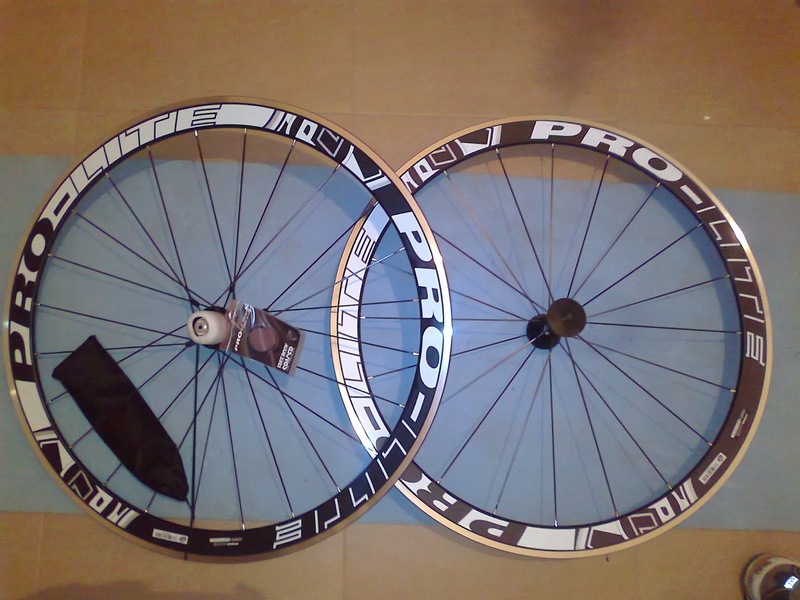 Otherwise, email Pro Lite company in Taiwan, they are very helpful, I've contacted them prior to buying this pair of wheels for some technical advice and they were very helpful in assisting me. Glad you found this review helpful! Hi there, just wondered 6 months on how you are finding these wheels? I've had difficulty finding much user feedback on these wheels aside from your review, which was helpful. How many miles have you done on them? What sort of road surfaces do you ride on (In the UK, the roads are pretty terrible)? Have you had any mechanicals with them? Ta in advance. Braccianos roll perfectly after about 2,000km or more as if it's day 1 on the road. I wanted to take it easy on these wheels, so I was swapping them with my training wheels (Fulcrum Racing 5). Now, I will be going for Braccianos all the time both on training and racing, with a 11-28 cassette. Roads in Greece are not the best, but these wheels remain exceptionally trued despite falling a couple of time on some holes that I didn't have time to avoid. No breakage with anything (on the other hand Racing 5, had 2 broken spokes within 8 months of purchase), I am 100kg and I push hard on climbs, the wheels are still quiet. I use them with Bontrager R3 tires and they make a perfect match, fast and easy to control on winds. I am now considering to pair them with A27s for uphill only rides. I've just read your review and it's excellent! I've been looking for a decent pair of aero wheels around the £350 mark and these came up a lot as well as the Fulcrum racing quatrro's a friend of mine has recently purchased the Fulcrums and he says they are great, however I quite like these but the only thing I was worried about was getting hold of the EZO angular bearings as PRO-LITE themselves have not yet replied to me about that (over a week ago!) and on there advert they claim their bearings will last a lifetime with proper maintenance. but I was just wondering if you have had a chance to get the bearings out and have a look at them? or see if they are available anywhere else? Hi Chris. I haven't opened up the hubs of my Braccianos wheels yet, unfortunately, so I am not sure that is the current state of the bearings. I've also posted a question about hub maintenance for these wheels on Pro Lite's facebook page few months ago, but I didn't receive a response either on this topic. So far, about 14 months since purchase, the wheels roll nicely, without any problems whatsoever. I must have rode 5,000km on them so far and I always leave them at home when the conditions are rainy - only once, I was caught in a heavy rain when outside, some cyclists have mentioned that it's mainly the rain and mud (or improper bike cleaning with water) that can spoil the hubs. As far as Fulcrum wheels is concerned, I am staying away from them like hell! 2 broken spokes within 8 months of purchase (Racing 5) and zero response from the technical support in Italy (I have written a post around this issue on my blog). You might say that I might have been too unlucky, but I sold them on the second hand market for half the price. The Braccianos are not the only and not the cheapest deep allowy rims on the market - Veltec sells the Speed AL with 42mm too. 20 Years ago Campagnolo already sold the 50mm Shamal-Alloy-rims. Thanks for letting me know about this. I was not aware of Veltec wheels, at least not here in Greece. Cheers. I have been looking at upgrading the wheels on my sensa romagna for a few months now but was worried that they wouldnt take my weight (NOW 13 stone 4lbs after losing 3 stone 2lbs in 8 months after taking up cycling) but after reading your review im going to buy some now i know they can take my weight and are reliable..plus after seeing what they look like on your bike i know they will look awesome on mine.. All i need now is one of those saddle with a cut out down the middle and i will be happy as a pig in ****. Hey Kostas, great review. How are you getting on with them now? I just bought a pair and waiting for delivery. Hi Terry! So far so good, I must stay that 2 years on and my wheels are still true, no problems whatsoever. What I want to sort out perhaps is some preventative maintenance on the hubs, not sure what's the 'safest' way to open hubs and do some clean-up and greasing, haven't found info around on the process and can't trust my local bike shop! Otherwise these wheels roll nicely, I've paired them with Bontrager R3 700x25 and they're a real joy. Welcome home your new pair! Thx for your review and thoughts. Just so you know this is still useful years down the line, thanks for the comprehensive review. 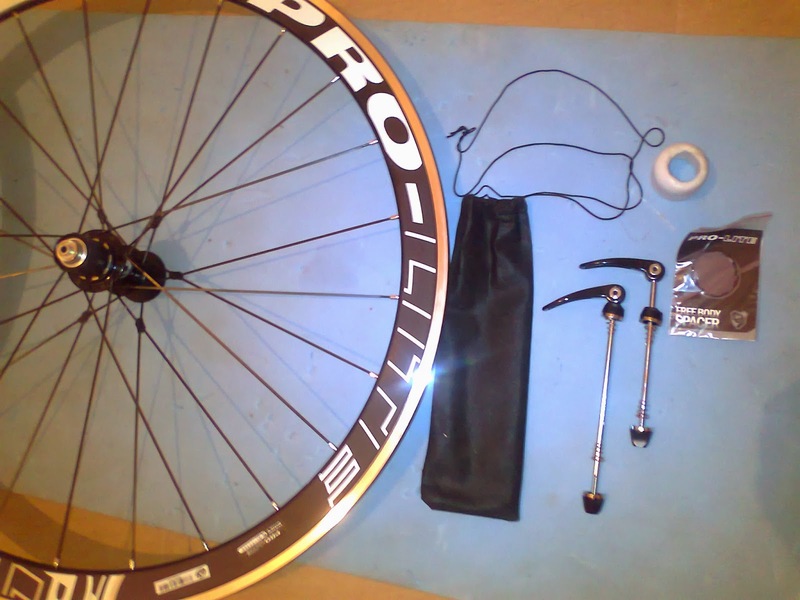 I'm looking at a wheelset upgrade after the winter here as my rims are beginning to wear. This answered many of my questions about the A42, thanks again.